Debt collectors are getting nailed for threatening and deceiving consumers. Debt collector horror stories abound: There are threats to dig up the dead relatives of those who couldn't pay their funeral bills, promises to imprison debtors or take their children into custody -- even warnings that pets will be killed. Under the Fair Debt Collection Practices Act, collectors are prohibited from threatening violence, using profane language, calling incessantly, inflating a debt and implying they are attorneys. And they can't tell consumers they will arrest them or garnish their wages or property unless they actually plan to take that action and are legally able to do so through a court order. Many states have their own rules governing debt collector practices as well. Threatening to take away children: Last week, the Federal Trade Commission shut down a Texas-based debt collector, Goldman Schwartz, for using deceptive and abusive scare tactics to force people to pay their payday loan debts. Among the alleged offenses: collectors called consumers incessantly, saying "we can take you to jail" or "we'll send the sheriff's department to your job and take care of this the hard way," even though they had no legal basis to do so. Collectors went so far as to tell consumers that when they go to jail, police or child protective services would take their minor children into government custody, according to the FTC. Goldman Schwartz hasn't responded to the complaint filed by the FTC, and its attorney declined to comment on the case. Posing as a law firm: To scare consumers into paying, Goldman Schwartz also allegedly posed as a law firm or claimed to work with law enforcement authorities -- even charging unauthorized attorney's fees that it referred to as "juice." One consumer, who asked to remain anonymous, filed a complaint against Goldman Schwartz claiming its collectors pretended to belong to a law firm one day, and the next day said they worked for local law enforcement. After calling her incessantly over a $300 payday loan debt -- which she said she already paid -- a collector even called her workplace and told her coworkers he was going to come arrest her and they would have to pick her out of a lineup. Pretending to have legal authority has become a popular tactic among debt collectors. In a separate lawsuit filed by the Pennsylvania Attorney General that's still pending, a debt collector, Unicredit, was charged with decorating an office to look like a courtroom and holding fake court proceedings. The attorney for Unicredit's vice president said "he was not personally involved" in the activities that the lawsuit alleges, and the president's attorney did not respond to a request for comment. Threatening to dig up dead bodies: Another collection agency, Rumson, Bolling & Associates, was fined more than $700,000 last month for taking harassment to a whole new level. One of the worst offenses listed in the FTC's lawsuit: collectors allegedly threatened to dig up the bodies of debtors' deceased children and hang them from a tree or drop them outside their door if they failed to pay their funeral bills. The defendant's attorney, Christopher Pitet, said the company's owners did their best to ensure collectors complied with the law -- so if any wrongdoing was done, it was done by employees and was against company policy. Promising to hurt pets: The harassment didn't stop at dead bodies, according to the FTC. Collectors at Rumson, Bolling & Associates also allegedly threatened to kill a debtor's dog. Specifically, collectors told a woman they would have her dog "arrested ... shoot him up and ... eat him," before sending the police to her house to arrest her, the FTC claimed. Collecting debts owed to other companies: Along with all the harassment, the FTC has seen a new collection scheme pop up: scam artists are stealing customer information from payday loan websites and then disguising themselves as debt collectors and going after the loans customers take out, said Tom Pahl, an assistant director at the FTC. In one case, a phony California-based debt collection outfit run by a man named Kirit Patel allegedly collected more than $5.2 million in debts that were owed to payday loan companies -- or weren't owed at all, according to the FTC. The defendant's attorney, Andrew Steinheimer, said Patel was duped into opening the company by someone else and was unaware of any wrongdoing. The case was referred to the Justice Department, and a federal grand jury indicted Patel last year. If convicted, Patel will face up to 20 years in prison or a fine of $250,000 (or both). "[These debt collection agencies] continue to taint the professionalism of the vast majority of collectors that do it the right way -- respectfully and in compliance with federal and state laws," said Mark Schiffman, a spokesman for debt collection trade association ACA, which represents more than 3,000 debt collectors. 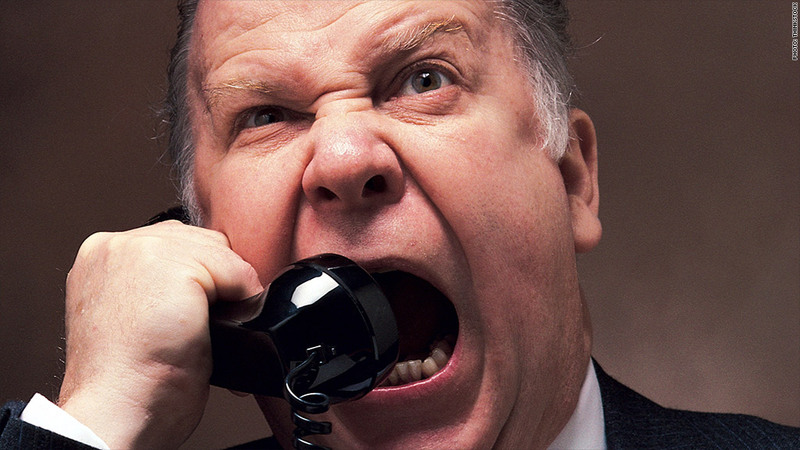 Have you been harassed by a debt collector? E-mail blake.ellis@turner.com to share your story.